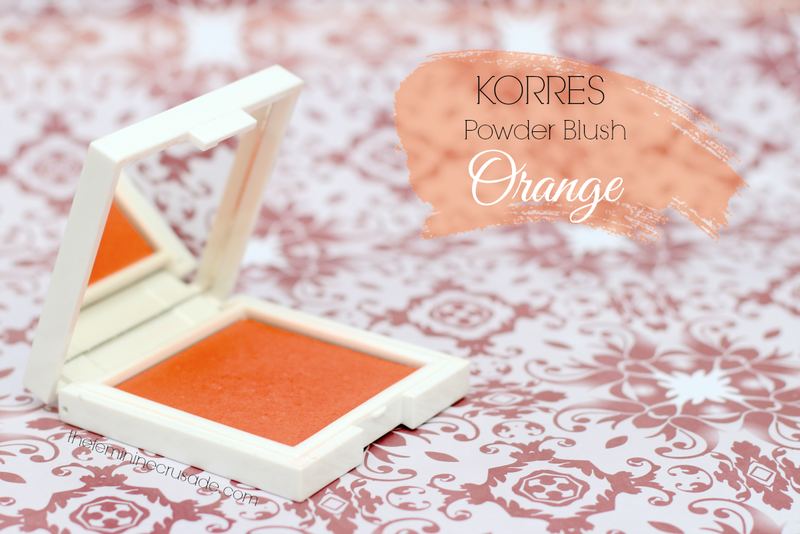 I will start by saying Korres Zea Mays Powder Blushes are very underrated. I had never heard or read about them before I stumbled upon one of these by accident, and a very pleasing accident it turned out to be haha. Most blushes I own are very similar to each other but this guy right here is very unique in its shade. A stunning, gorgeous 'burnt orange' that just lights up my whole face. Just look at that beautiful swatch. It is such a complex shade of orange and peach with hint of fine gold shimmer. The shimmer is what adds to the whole radiance. It isn't glittery, neither does it emphasize pores. It just gives a natural glow! The packaging to be honest is kind of a dull white. Nothing speaks out to you. Probably why people just skim over it when out buying blushes. 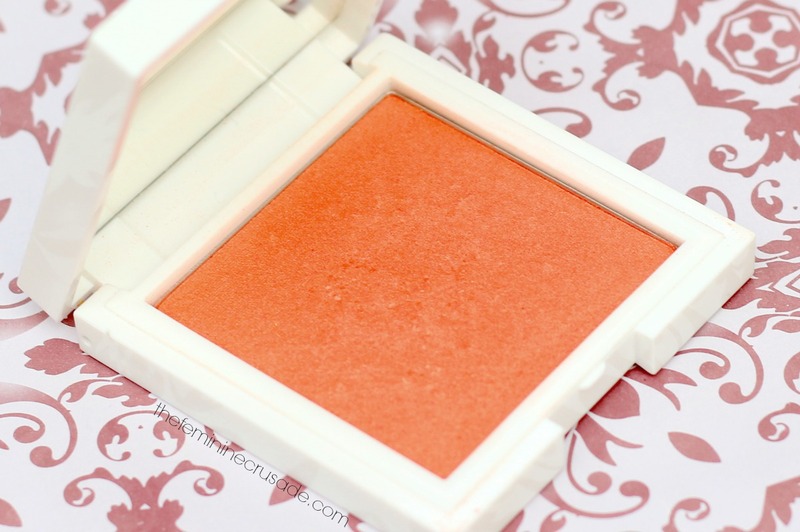 The blush itself has a velvety, powder to cream finish, that blends like a dream. The pigmentation is perrr-fect! One of the best I own, being neither too much or too less. On my cheeks, it stays a good 4-5 hours. I personally find it suitable for all kinds of skin types. 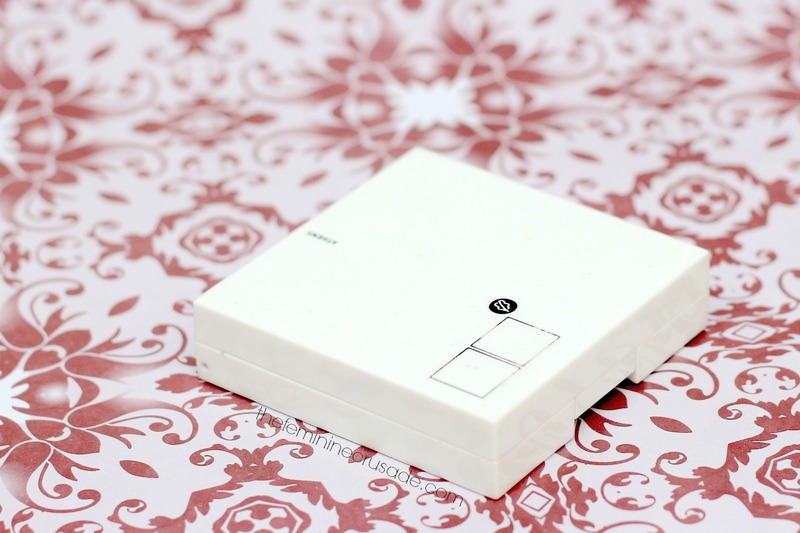 Seriously guys, forget the rest of your wishlist and get your hands on this beauty asap! I can't get enough of it. Boring packaging, but a very impressive blush!